According to a study by the Institute for Market Economics (IME) in 2011. The issuance of the construction permit from the municipality takes more than 150 days. The remaining cities in antiklasatsiyata are far below the record performance of the Varna record delay. If cherished signatures chief architect and mayor of Varna previously waited more than five months, the provision of documentation for them and most of all - the development of a detailed development plan for the land on which will develop the investment plan, it took at least a year . Currently the issuance of a building permit in Varna Municipality takes between two and four weeks, according to the complexity of the project shows journalistic inquiry. About a month is needed for the production and coordination of DSP. The administration's efforts are harnessed to create a system that eliminates the need for DSP and investment plan to be carried out only with construction visa, which takes quite acceptable 14 days. Statistics (all issued building permits already published on the website of the municipality) shows that in 2011 Varna municipality has issued 190 building permits. 177 is the number in 2012. In 2013, Mayor Ivan Portnih delegate permits for buildings 5th and 6th grade of the regional administrations and the number of a document in the municipality begins to fall. So from the beginning of 2015 and so far the chief architect has signed a 111 building permits, but for the whole city. Along with the mayor of their number exceeds 300. Far more revealing are the figures issued with detailed plans, without which currently can not be issued a building permit in Varna. In 2011 they were only 128 in 2012 and 233 were in 2013, however - with the entry of the new administration in the municipality - the number swells to 757. So high speed accumulated near the offices of the employees and even the corridors in the responsible Directorate stacks of folders begin to melt and disappear. In 2014 finished PUP-s already 690, and for the first nine months of 2015 and are 526. The finished PUP still takes time for investors because of the complicated procedure for its coordination with several institutions before submitting it for approval to the municipality. It is this long time for obtaining a covenant document will be cut sharply with the development of so-called plans for regulation and development for the whole community. Varna is divided into 29 micro regions and over 20 settlements. It turns out that a very small part of the subregions have a plan for development, and most of the local entities are not even feature original regulation, said Ivan Portnih. "Over the past 20 years Varna was literally ruined urban. First over 10 years dragged preparation of Master Plan and the city was building a t.tar. Temporary rules, which worked with plan extracts. This led to disproportionate construction of new buildings in the center, to the chaos in the "Breeze"; s and construction of local entities without any idea of ​​streets and service areas, "commented architects. Obsolete and plans are all areas in the city: most are issued over 80 years, some have pledged nonexistent and impossible to implement today objects. For example in the area of ​​PPP "Renaissance" -4 35 years ago provided for the construction of school. Today this still does, landowners (who never were estranged at the time), but can not get permission for them because of ancient socialist plans. In the next Pchelina plan for regulation of the 80s, but it has never been applied in practice. Available PPP-s "Asparuhovo" were made in 1983 to the "Mladost" - until 1994, for "Seaside" - between 1973 and 1993 and for the "Vladislavovo" - 1994-a. The wide center is planned to last in the 80s. The last PPP for the town center is 1984, but even he was challenged in court and was not replaced with a new one that least restricts the height and density of construction here. This becomes an occasion to absurd decisions of the Expert Council on Territory. He is tied down in the approval of projects, such as this street. "Brothers Shkorpil" for example - Architects Advisory Board are convinced that the new building there does not fit the look of the main street, but did not have the legal basis to not approve it without being attacked in court for this. 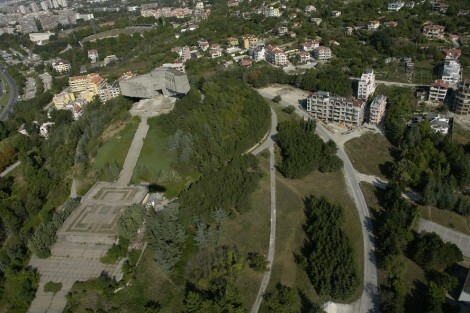 In the last 14 years until 2013 and, in the municipality of Varna has not completed any procedure in making a plan for regulation and construction. There have been only a few regulations settlements. At the same time only in 2014 and 2015 and was started work on seven different micro PPP in the city. 5 of them already have contractors - 2 micro areas in "Asparuhovo" to 1 "Mladost" and in "Vladislavovo" and CO "villas". So to obtain a permit for construction in these areas will no longer be required of the land. All eligible parameters of the construction, as well as links to the electric network, water supply and sewerage are set in the final plan for the area. The investor would be sufficient to remove only a visa for construction, which will take no more than 14 days. So the idea to the procedure of the first sod can be reduced to a month plus period needed for production on the architectural design. Serious challenge and update adopted after a series of scandals and protests in 2012 Master Plan. Recently Ivan Portnih veto the change of the Master Plan, according to which hundreds of properties in the municipality, at the request of their owners, had to be converted from landscaping designed in such a building. Next project for "unblocking" of the city by extending the Boulevard. "Tsar Liberator" and turning it into an alternative connection with the "Hemus" highway through breakthrough Boulevard. "Slivnitsa" from "Jan Hunyadi" to "Atanas Moskov" and a new link Upload highway by completing the boulevard. "Levski" Str. "Devnya". It is ready for new projects and parks - in "Renaissance" and "Mladost" and ideological readiness for conversion in the park of the former industrial area to the square. "Victory". The natural development of the city to the south will no longer be hampered by longstanding problems with the water supply of neighborhoods and cottage areas across the channel. Reconstruction of water mains of the neighborhoods "Asparuhovo", "Galata" Zvezditza village, settlement formations "Borovets-south" and "Priboy" running on the railways and in the canal sea-lake, ending the plumbing failures in this large area Varna. Advantage is adopted Water mastarplan city that regulates beyond any replacement of pipes and inclusion of new capacities.